All but one member of New Zealand’s Parliament voted on Wednesday to change gun laws, less than a month after deadly shooting attacks on two Christchurch mosques that killed 50 people. The gun reform bill, which passed 119-1 after its final reading in parliament, must now receive royal assent from the Governor-General before it is expected to become law on Friday. Australian Brenton Tarrant, 28, a suspected white supremacist, was charged with 50 counts of murder after the attack on two mosques on March 15. Prime Minister Jacinda Ardern spoke emotionally during the bill’s final reading of the traumatic injuries suffered by victims of the Christchurch terror attacks. “I struggle to recall any single gunshot wounds,” Ms Ardern said. “In every case they spoke of multiple injuries, multiple debilitating injuries that deemed it impossible for them to recover in days, let alone weeks. “They will carry disabilities for a lifetime, and that’s before you consider the psychological impact. We are here for them. 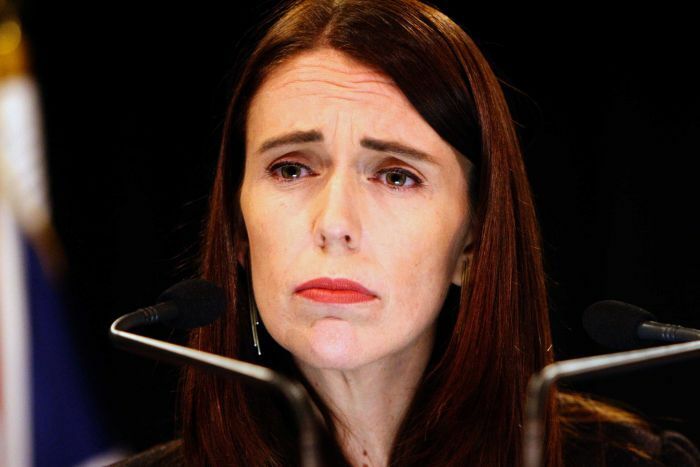 Ms Ardern, who has won international praise for her compassion and leadership since the shootings, was able to win rare bi-partisan support for a bill that makes it illegal to own a military-style semi-automatic rifle. The law includes a buy-back scheme under which owners of outlawed weapons can surrender them to police by September 30 in return for compensation based on the weapon’s age and condition. More than 300 weapons had already been handed in. Anyone who retains a banned weapon after the law formally passes on Friday faces a penalty of up to five years in prison. Some exemptions have been allowed for heirloom weapons held by collectors or for professional pest control. The only dissenting voice was from the libertarian ACT Party’s sole MP, David Seymour. He questioned why the measure was being rushed through. “If you’re going to make a law with urgency, there better be a damn good reason, otherwise people deserve a say,” he previously told reporters. But last week when he was speaking to the press about his objections to the speed of the bill, he missed being in Parliament to vote to slow down the process. Ms Ardern said that there was some opposition from firearms owners, but that the response to the proposed legislation was overwhelmingly positive. “An argument about process is an argument to do nothing,” she said. Ms Ardern said there were few occasions where she had seen parliament come together in this way, and said in the circumstances it was necessary. “We are ultimately here because 50 people died and they do not have a voice,” she added.